Get a popular sling-style pet carrier at an incredible price! 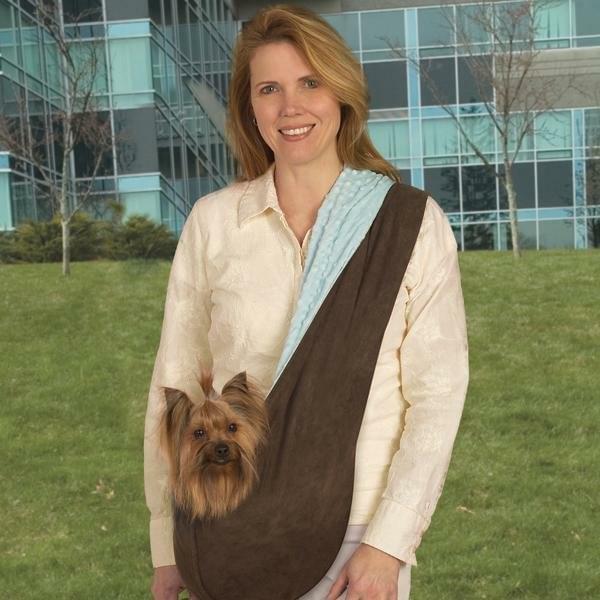 Carrier loops over one shoulder while pet rests in pouch on the opposite hip. Keeps pets safe and close while giving the owner hands-free mobility. Reversible design features durable brown faux suede on one side, and soft short pile dimple plush on the other. Each is packaged in a polybag with an insert card. Care: Machine wash in cold water on a gentle cycle. Line dry.